Knee injury claims are something Beardsells have become very familiar with. Between April 2011 and March 2012, 22,433 major injuries such as amputations, fractures and burns to employees were reported. So, if you’ve sustained a knee injury through no fault of your own, we understand how it can put your life on hold and that you probably want to know whether you are entitled to knee injury compensation to support you. Our personal injury solicitors are on hand to help make your personal injury claim for knee damage go as smooth as possible, allowing you to feel some relief and closure after your accident. The trouble with accidental trips, slips and falls is that the victim usually lands on their knee first. This means that your knee takes the full force of the impact. Once you have suffered a knee injury there is a possibility you may have recurring trouble with your knee for years to come, even after the knee injury claims process is over. 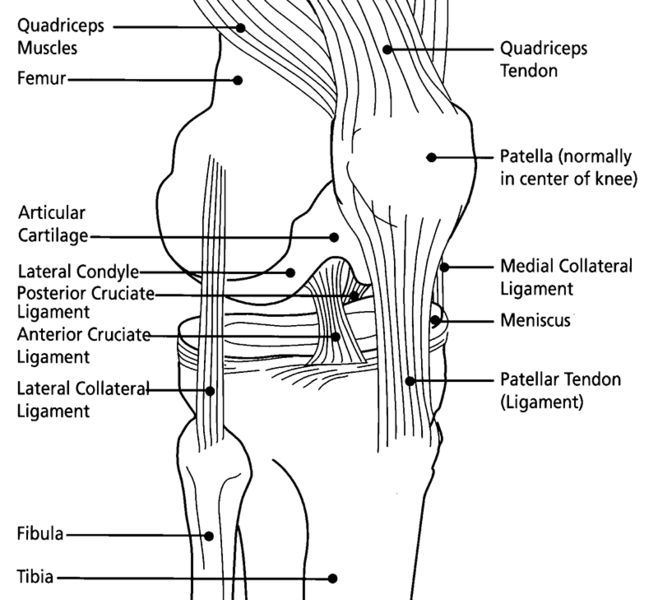 Your knee is made up of bones, cartilage, muscles, ligaments, tendons and fluid. It’s the main joint in the lower body that helps you walk and move. The knee is also a particularly vulnerable part of the body because it carries your full body weight and takes the largest amount of the impact when you walk, run or jump. This means the knee can be easily damaged. You may have to take painkillers for a long period of time. You are well within your right to be financially rewarded for your troubles, even if that includes claiming against your current employer. A sprain or strain is when the muscles and tendons within the knee are over stretched and can sometimes fray. This can be extremely painful, and on occasions may swell up and can even stop you from walking. Sprains and strains will heal over a period of time and you are still entitled to claim a financial reward if the accident wasn’t your fault. The menisci is a rubbery pad that lives between the upper and lower leg bone. It acts as a shock absorber and cushions any impact that would otherwise be taken by the joint bone. 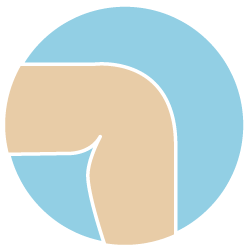 During an accident the menisci can tear – this will lead to extreme pain, swelling, and a locking of the knee. This will usually heal itself, yet in some serious cases it will require an operation to fix the torn menisci pad. The compensation amount you can claim for this type of injury will depend upon the severity of the injury and the after effect you have suffered. Pain and suffering – this compensation amount will be established by looking at the severity of your injuries, as well as how long it takes for you to completely recover. Financial losses & expenses – this sum will be determined by and time you have been forced to take off work, as well as things like medical bills, paid personal care, paid transport and so on. 1. Twists and painful bruising of the knee – If you suffer twists or bad bruising to your knee and make a full recovery within a year, you should expect a compensation settlement of between: £1,000 – £4,200. 2. Twists with ongoing symptoms – If your twist, bruise or ligament injury causes long term minor symptoms, your knee injury compensation amount is likely to work out an average of between: £4,200 – £10,000. 3. Torn cartilage in the knee – If you tear cartilage or suffer a knee dislocation which leads to your knee being permanently less stable than before the accident, your compensation amount will be between £10,000 – £19,000. 4. Serious knee injuries – In the most serious knee injury cases, you may suffer from a fracture, bad tears to the cruciate or collateral ligaments, torn cartilage, limitation of movement and degenerative osteoarthritis, which could lead to arthrodesis or even knee replacement surgery. These types of injuries will result in a knee injury compensation amount of between £19,000 – £70,000. This is a type of knee injury that is usually suffered by people whose job requires kneeling for long periods of time such as brick layers or carpet layers. Sports men and women can also suffer from this injury. It is when excess fluid builds up on the knee. Symptoms can usually be treated by rest and anti-inflammatory painkillers but often results in knee injury claims. Ligaments are made of tissue and they connect the bone to the knee joint and the tendons connect the muscle to the bone. More often than not, tendons and ligaments are damaged during sporting accidents, but can also be damaged during a car accident or fall. Torn ligaments and tendon damage can cause the knee to swell, be painful to walk on and may cause the knee to ‘give way’ when you do try and walk on it. Knee injury claims following torn ligaments and tendons often result in a large amount of compensation. When it comes to compensation for knee injury claims, there is no one better than Beardsells no win no fee Solicitors. We have over 30 years’ experience in winning compensation cases. We have been so successful and build such a noble reputation because we really support our clients. We go that extra mile and our main aim is winning you the compensation you deserve. We have built many knee injury compensation cases in the past 30 years’. Our experience is second to none. We know what it takes to build a truly unbeatable knee injury claims case and our clients are always pleasantly surprised that we go above and beyond their expectations. If you have suffered a knee injury that wasn’t your fault, you have a right to claim financial reward for the pain and turmoil. Whether your injuries were severe and lead to surgery, or minor and only required a small amount of medical attention, you can still win your knee injury claims case. The amount of money you will receive will depend upon your individual case. Your injury may have led to permanent disability. You may no longer be able to do physical exercise and therefore your overall health may suffer. You will be able to claim for loss of earnings, damages, treatment costs and expenses incurred due to the injury. We’ve made it really easy for to start your claim today. Just give one of our friendly solicitors a call today on 0800 677 1911 or 0333 577 2251 from your mobile and we can give you all the information you need on knee injury claims. It’s free! If you’ve got an enquiry or question for us, send us a message using our Contact Form and we will reply as soon as possible. You may be entitled to a lot of knee injury compensation. We work on a no win, no fee basis on our knee injury claims. What have you got to lose? We haven't written any blog posts about Knee Injury Claims Compensation yet.